Changing economic circumstances, particularly a global downturn, is the perfect opportunity to reassess your business health. It is a chance to streamline your current business practices and diversify into new and complementary areas. A good example of this is framing for many art-based businesses. The first step is to identify which part of the framing industry would be most lucrative for your business. There are a wealth of opportunities and markets to choose from. Picture framing for the public or other businesses. This could be on a ready-made or bespoke basis. It could be a combination of both. Restoration and repair of picture frames. You may wish to be a dealer or retailer of framing products and supplies. Incorporating framing into your business may also be a cost-reduction exercise. An artist often has little consideration for practicality when creating a work of art; the art comes first. When the time comes to frame their work, they may find that it is difficult to source ready-made frames that fit the proportions of the canvas. The cost of bespoke framing services is often prohibitively expensive. The answer is to frame your art yourself. It’s relatively easy and opens up a whole new world of opportunities as well as a large increase in your profit margins. Why is Framing a Good Addition to an Art Business? Framing goes with art like cheese goes with pickle, they go together, and it’s as simple as that. 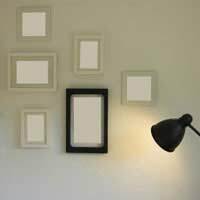 Artists often find that framing their own work is very cost-effective and this can easily progress to framing for other artists or galleries. A cost saving exercise ultimately becomes a chance to increase your income. What Kind of Premises or Equipment Will I Need? There is little need for formal business premises. The framing business is easily conducted from the corner of an artist’s workshop, a room at a gallery or even at home. It is very flexible and the only requirement is enough space to store materials, framing equipment and perhaps ready-made or finished frames. The professional framer needs proper equipment to achieve the highest standards and finishes, such as: clamps; mount cutters; finishing tools and hanging systems. All this equipment can be bought as ready-made kits at reasonable prices so there is a relatively small initial capital outlay. If you already have an art business, marketing a framing business is an easy additional activity. You need to give the framing business a presence on your business cards, adverts and website. Most art businesses already have a readymade network of artists, galleries and other customers. If you started framing by creating frames and mounts for your own work or gallery, you have the best advertisement available for your skills. As an artist, you can also advertise your proficiency as a framing consultant. Artists often instinctively know how art should be presented and framed to its best advantage. There are a few golden rules that will help your framing business to succeed. Once you have established your business type and identified a solid market, the novice framer needs to embark on a rigorous course of education and training. The Fine Art Trade Guild provides a wonderful source of education, support and training for framing businesses. The ultimate goal is to be awarded their Fine Art Trade Guild Commended Framer logo. This is a sign of quality, skill and distinction. It will increase your business opportunities immensely. However, the mark is only awarded when a framer has attained a high standard. Framers need to embrace the simple principles surrounding mounts, frames, backboards and conservation framing. Framing is not a simple art, it embraces several levels of framing from the functional through to display, conservation and museum levels. The successful framing business must be familiar with all levels. Framing is a perfect addition to any art business and with research, training and enthusiasm offers great rewards, both financially and personally.